I was pleased to be invited to Google+ just a day and a half after it launched by a friend named Joe Morin. Joe’s a great guy and knows everyone. 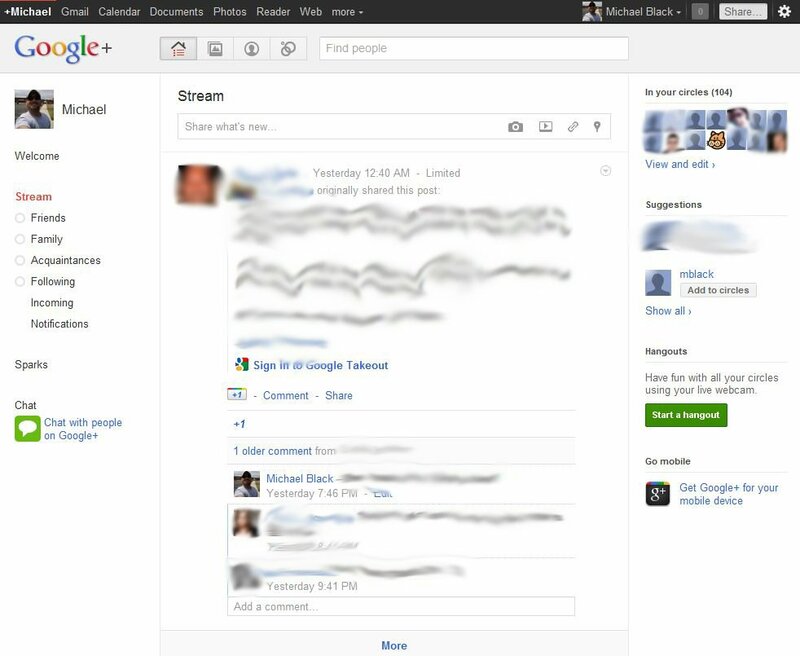 Google+ seems pretty cool even though it looks like they’ve just plan ol’ copied Facebook. Sure, the functionality is different but the layout is pretty much the same. 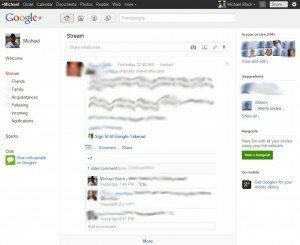 I’m not complaining – I like Facebook so why wouldn’t I like Google+? One feature I really like is the way you sort people into lists. 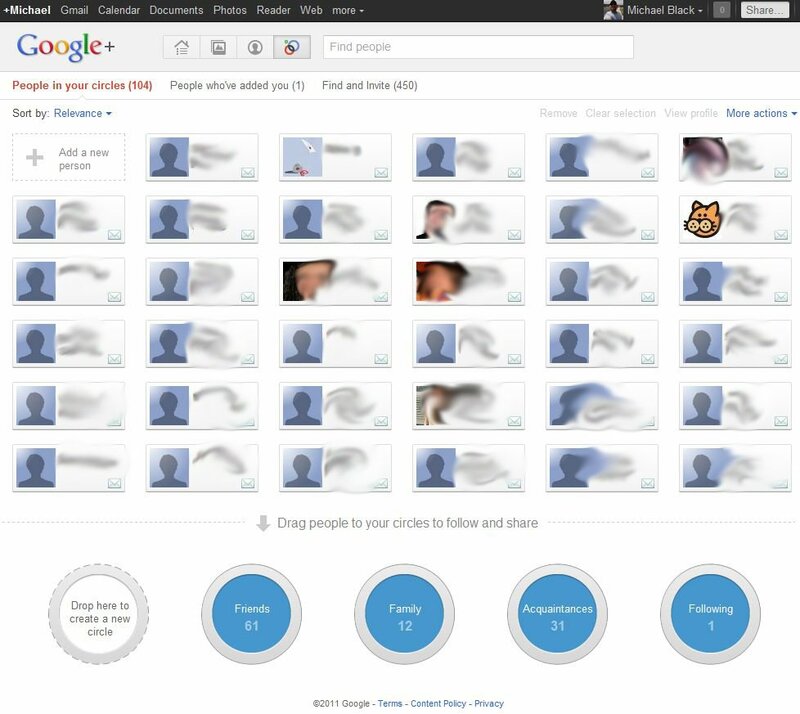 Google+ comes with some predefined lists which are nice and you can create your own too. Once people are sorted into lists you can filter the posts so you only see comments from folks in the selected list. I think this is a great idea. You can make it so you only “hear” from colleagues, family, complete nerds, or however you want to sort folks. I’ve got some friends that are complete nerds about computers and SEO but they don’t post to Facebook often so unless I go dig for each of them and navigate to their profiles I completely miss their posts in my news feed. Now I could create a list for my nerd friends so I could view that stream and learn a lot. Sweet. The main missing feature – and this might be an Achilles’ heel – is that at the moment you can’t leave comments on someone’s profile page, at least as far as I can tell. You can comment on their posts like Facebook, but it doesn’t look like you can drop in and just say “Hi.” I think in order to be a viable competitor for Facebook, Google+ will need to add this. Because it’s missing this feature I feel very disconnected in Google+ and a bit awkward. It is like you’re standing in a room full of people who are all staring you in the face but can’t say anything to you without solicitation. Weird.